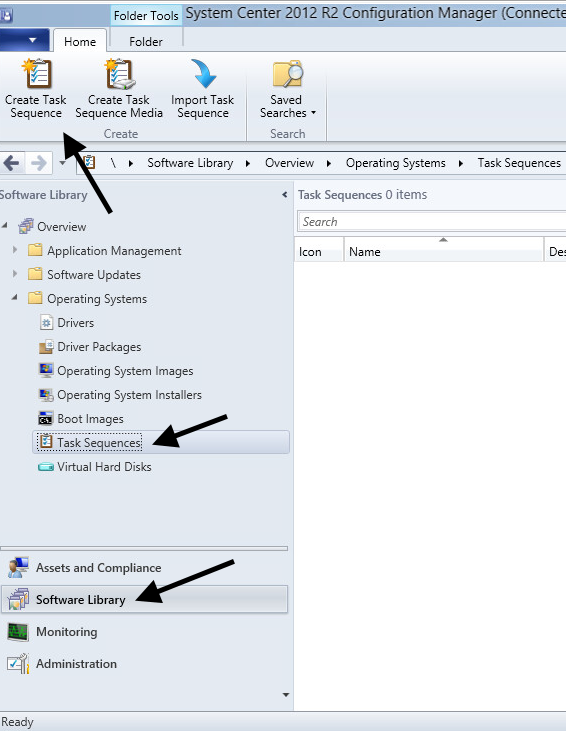 In the left panel of System Center Configuration Manager, select Software Library. 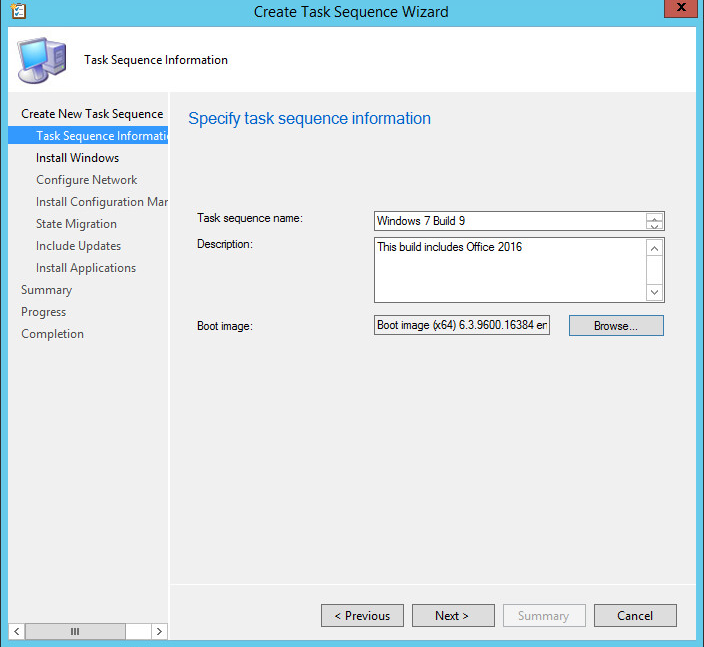 Expand Operating Systems, select Task Sequence, and select Create Task Sequence. 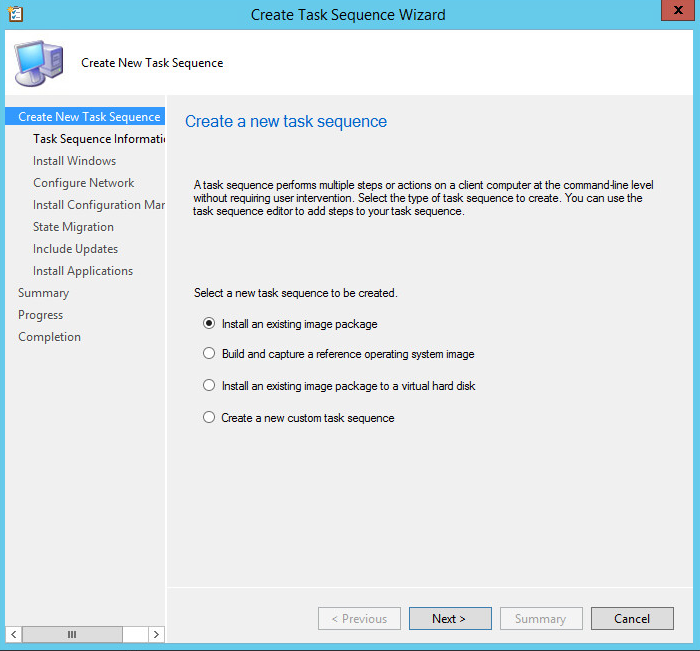 At Create New Task Sequence, check Install an existing image package and select Next. At Task Sequence Information, select Browse and select a boot image. Select Next.